A raft of BDF Members, Partners and associates descended onto Canary Wharf once again on Tuesday 2 December to attend the annual Technology Taskforce MegaQuiz. Kindly hosted by Taskforce members Barclays, the evening followed the format of many well-known quiz shows, including a blast from the past in the form of Blockbusters! Now in its third year, the Technology Taskforce holds the annual MegaQuiz as an opportunity for ICT practitioners and others to put their disability knowledge to the test, with this year’s quiz led by CBeebies presenter Cerrie Burnell. 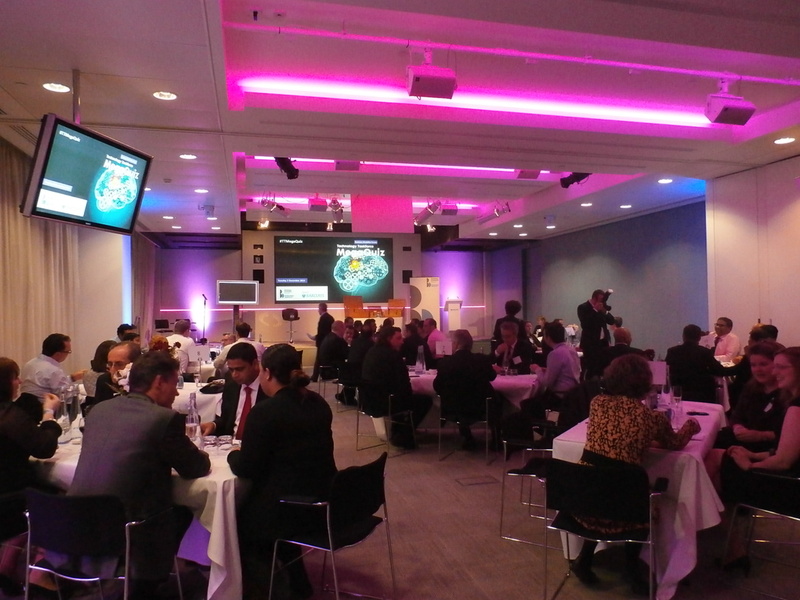 Eleven teams from across BDF membership pitted their wits against one another for the glory of being named Technology Taskforce MegaQuiz champions of 2014. “The annual MegaQuiz is an opportunity for ICT professionals to come together in a fun environment and test their own knowledge of how disability affects business against their own peers, clients, competitors and suppliers – all while having an enjoyable evening out with colleagues”. “The MegaQuiz is also a fantastic opportunity for Technology Taskforce members to network with other like-minded individuals and learn more about how ICT plays a vital role in making our workplaces and services more accessible to disabled people”. The first round centred on an old classic, the Blockbusters Gold Run, with Cerrie leading the teams across the board before finally asking for “a P please, Bob”. Round two was named “8 out of 10 Guide Dogs”, where teams were asked to pick the right answers from a range of stats. The missing words round came next, where disability-related headlines taken from the news had vital words removed. A host of famous faces on the picture board made up round four, where contestants had to not only put a name to the face, but also name their disability. The last round gave all the teams the chance to almost double their scores on the Never Mind The Buzzcocks’ “Next Lines” round, with points available for the artist, the next line and the artist’s impairment. As you’d expect, there were plenty of people humming their way through the songs to get the right answer! Just before the quiz came to a close, there was a tense tiebreaker for third place between “The Scousers” from Standard Chartered and “The Quantitative Easings” from Barclays, with The Scousers darting in at the last minute to claim the third-place hamper of goodies. 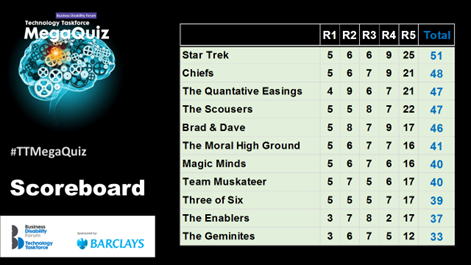 The Microlink-led team of “The Chiefs” were our runners-up, and this year’s MegaQuiz champions were the team from Barclays and AbilityNet. Once again, the whole evening was a resounding success, with plenty of engagement, providing the opportunity to network and meet new people, enjoy some early Christmas cheer whilst having some fun and learning more about disability. Technical SwapShop goes up in the world! 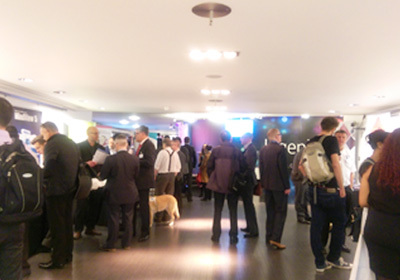 Generously hosted by Technology Taskforce member BT at the iconic BT Tower in Central London, our Technical SwapShop was held on 4 November and attended by nearly 100 delegates. With speakers and exhibitors from both Taskforce members and assistive technology companies, attendees got the chance to get personal perspectives on the use of Assistive Technology (AT), as well as find out about the range of products available, before having lunch at the top of the tower! Proceedings got underway with delegates given the chance to learn about different AT products from over a dozen exhibitors, including ReciteMe, Matchware, Hassell Inclusion, Ai Media, Nuance and iansyst. Things then moved into BT’s auditorium where our chair for the day, BDF associate Rick Williams, introduced representatives from our hosts BT. Bertrand Mazieres gave us a brief introduction to BT, before Dan Ballin explained the importance of accessibility to BT as an organisation. Next, EY Associate Partner John Levell spoke about his firm’s dyslexia network, why it was set up and how it adds value to their organisation. He also took time to describe his own personal experiences in the workplace coping with dyslexia, which struck a chord with many in the audience. Alastair Campbell of Texthelp was then given the chance to demonstrate Texthelp’s Read&Write software, which has been designed to offer support to individuals who may experience literacy difficulties due to dyslexia, low literacy skills or English as a second language through the use of a computer. Audio Notetaker was the focus from our next speaker, Adam Pearce of Sonocent. Audio Notetaker allows employees and clients to combine text, audio and slides into one cohesive package to foster barrier-free communication in the workplace. Microlink’s Tim Scannell, Deaf and Hard of Hearing Account Manager, talked about how his disability affects him and demonstrated assistive technology that can assist individuals like himself that are profoundly deaf. 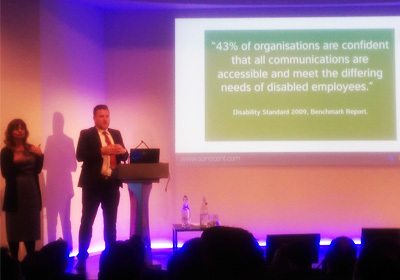 Following Tim, Paul Smyth, Head of IT Accessibility at Barclays, then took to the stage to talk about how his own visual impairment affects his working life, what accommodations he has in place and what can be done to help as individuals and organisations. Last on the formal agenda was Steve Bennett from Dolphin, who provided us with a demonstration of their SuperNova software that assists those with visual impairments. After a brief interlude from BDF’s Chief of Staff Paul Day, Kiki MacDonald from Euan’s Guide closed out the day’s presentations. Euan’s Guide, which has been dubbed “TripAdvisor for the disabled”, was devised by Edinburgh-born Euan MacDonald, who has Motor Neurone Disease, the website and accompanying apps aggregate reviews of public venues across the UK for their accessibility. 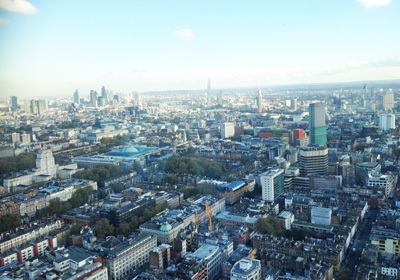 With all presentations done, delegates and exhibitors all made their way up to the top of the BT Tower to network over lunch and enjoy the views across London! You can catch up with the day’s proceedings and see photos from the day by following the #TTSwapShop hashtag on Twitter.